Mecca Bingo presents... After Dark Bin-Glo! Bin-Glo comes to your iPhone as a fast-paced, physics based game. 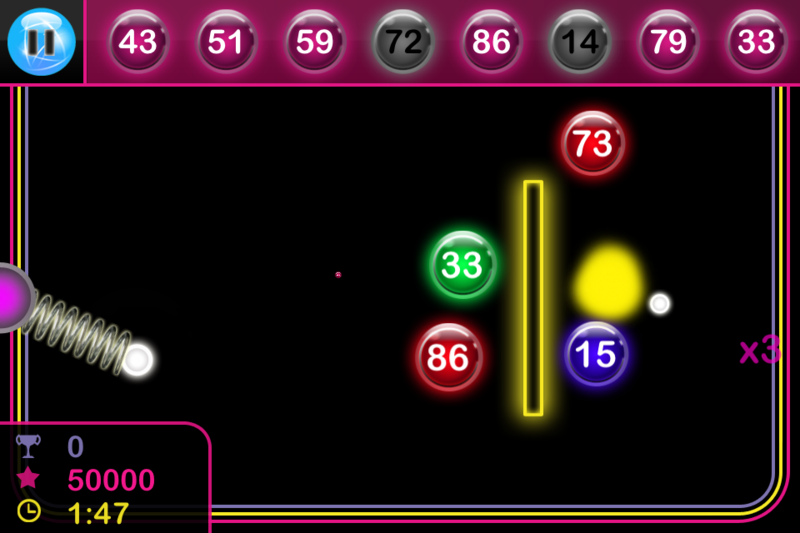 Simply pop the numbered bubbles that match the numbers on your bingo ticket at the top of the screen before the time runs out. Look out for the Shadow Showdown levels... make sure you pop the bubbles before the Shadow gets there first! 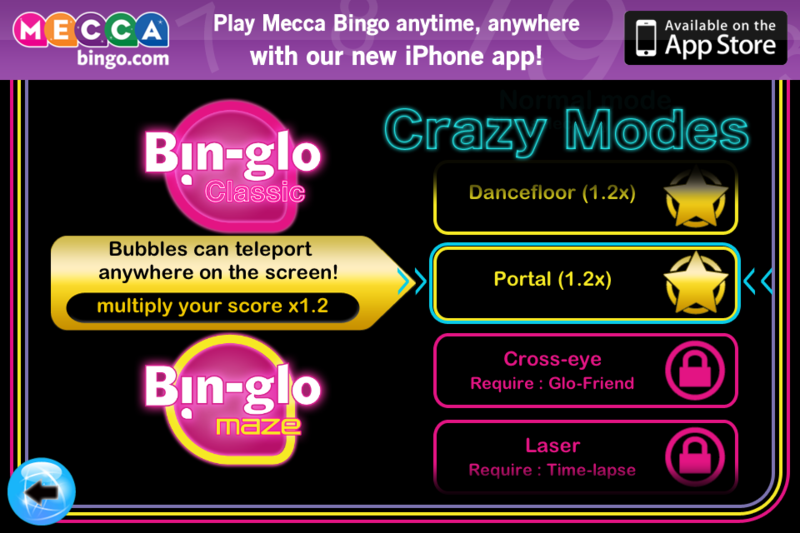 The Bin-Glo App is totally free to play and high scores are synced with Openfeint so you can track your progress! * 15 new Maze Levels! * Unlock over 20 Achievements! 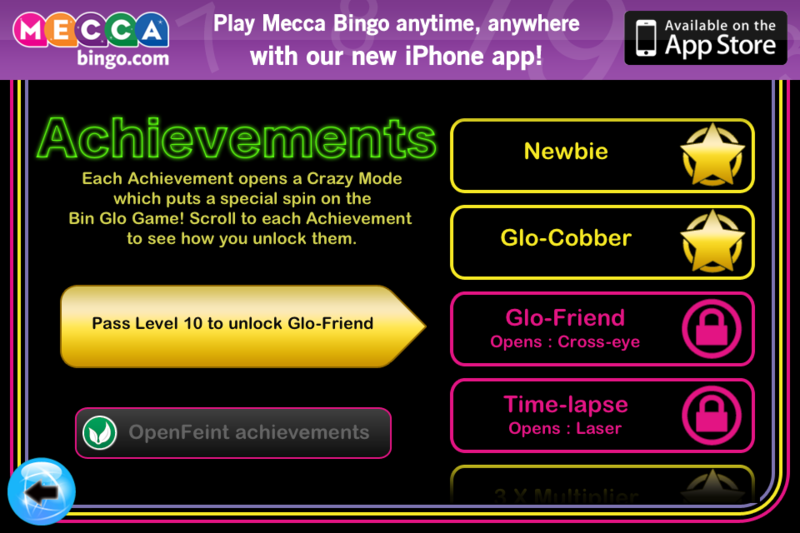 * Unlocking Achievements gives you access to over 20 Crazy Modes!